You definitely should keep things simple and cool this Summer. Go for a black sleeveless romper made of lightweight fabric and complete it with black trainers and rounded sunglasses. A perfect combo for day wear. This time I’d like to show you my favorite sporty casual looks from fashion blogger Katiquette. She has a very special laid back minimal style that makes her look relaxed and urban chic. The simplicity of her outfits makes her stand-out from the crowd. Have a look at my favorite clothing combinations and tell me your thoughts in the comments below. This image was shot in Versailles. Katiquette is wearing a white linen blouse tucked into a light blue denim skirt with frayed hem. 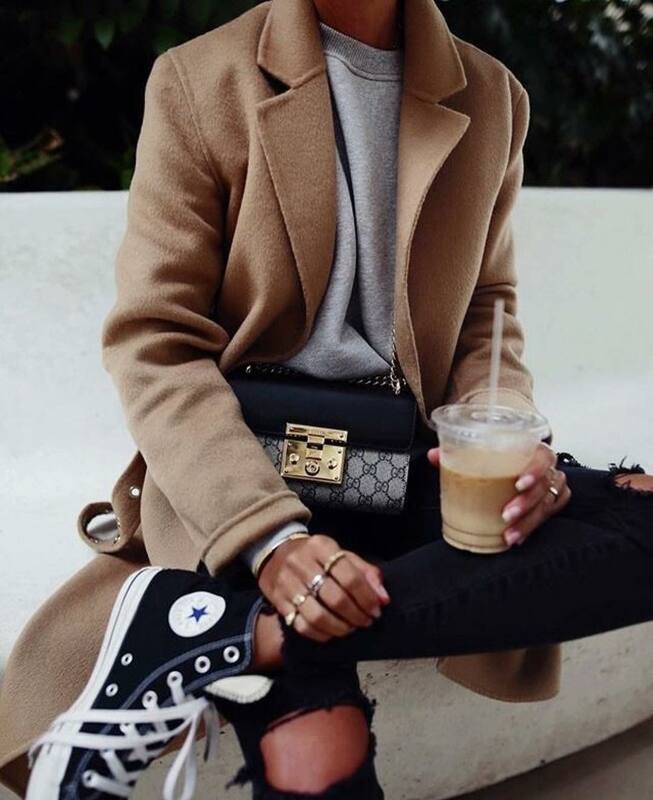 The look is complemented with a black leather handbag and classic Converse sneakers. I like the Daniel Wellington watches. Hi, Everyone! Today’s topic is edgy vintage looks. I am a big fan of mixing different styles in one outfit, so why don’t you take a look at these marvelous 7 must-try edgy vintage outfit ideas you can copy this year. 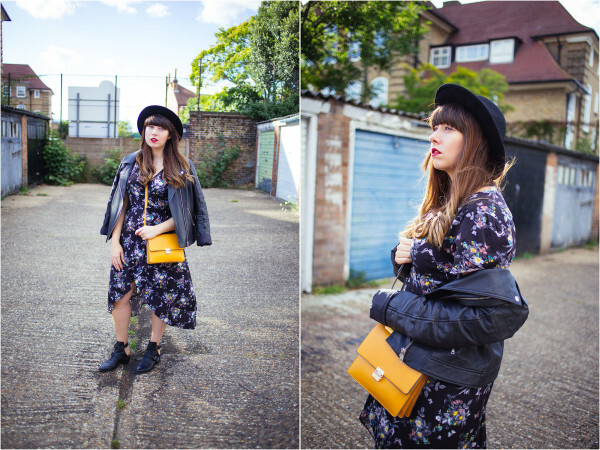 All looks are made by Amy from Vintage Reflection blog. Hope you gonna like these ideas. Here we see Amy wearing a dark floral wrap dress which works absolutely gorgeous with a classic black leather jacket. I love that kinda grungy vibe. The outfit is complemented with a brimmed fedora hat, mustard shoulder bag, and chunky black leather ankle boots. This mannish sporty outfit will make you look cool and edgy. You will need a navy-blue bomber jacket, cable-knit gray-blue sweater and ripped skinny jeans. Complete this outfit with a pair of black trainers and black leather tote bag. The following ideas will show you what sweatpants and sneakers you should we to the gym and what styles you can wear to casual parties, or for a street walk somewhere in the city center. Every woman wants to look at her best, but sometimes you need a relaxed outfit for a safe play. I am not saying you all should buy yourself a pair of sweatpants, but this garment is definitely something that can save time and make you feel comfortable. Below are gathered interesting combinations for Central Park walks, visiting the Empire State Building or Top of The Rock. Get inspired and let me know your thoughts in the comments below. Want to make your sweatpants look dressy? Give a try to a pair of black coated sweatpants and wear it with a basic black crop top, printed sneakers and white long blazer. I would say, it’s a versatile look for all kinds of parties. You can find lots of fashionistas on the streets wearing oversized clothes. 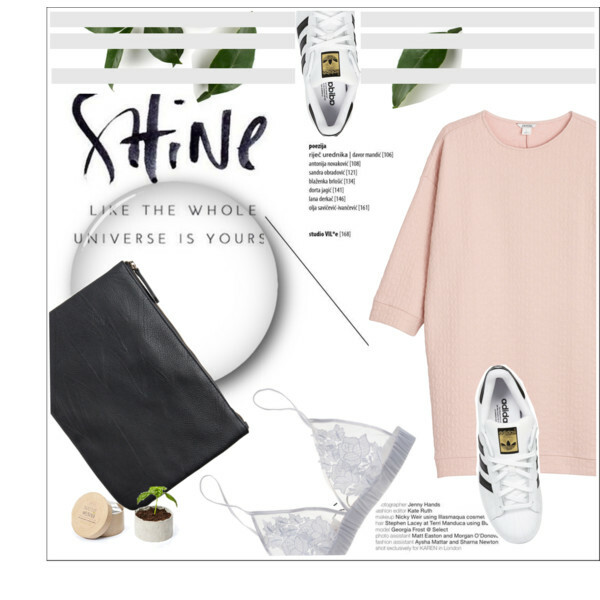 Why don’t you give a try to a cocoon-shaped blush dress complemented with a pair of white sneakers?